Renovated end unit in prime location close to 85/285 & Perimeter Mall surrounded by several new mixed use projects. Entry foyer w/hardwoods flow to updated kitchen featuring granite counters, stone backsplash and large pantry opening to spacious great room w/fireplace, rear wall of windows opens to deck, 2 huge master suites offer a perfect roomate floorplan each featuring spa baths w/double vanities,soaking tubs, glass enclosed tile showers & gigantic walk-in closets. Large side green space perfect for pets and ample community parking. New HVAC and water heater. 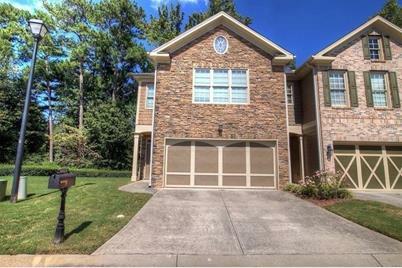 4023 Caitlyn Place, Doraville, GA 30360 (MLS# 6515451) is a Townhouse property that was sold at $260,000 on April 12, 2019. Want to learn more about 4023 Caitlyn Place? Do you have questions about finding other Townhouse real estate for sale in Doraville? You can browse all Doraville real estate or contact a Coldwell Banker agent to request more information.